Thanksgiving Interfaith Service 11/21/17 @ 7p.m. You are invited to the Greater Green Bay Area Annual Thanksgiving Interfaith Prayer Gathering, Hosted by G.I.F.T. (Gathered In Faith Together). Tuesday, November 21, 2017 @ 7:00 p.m.
Our Sangha will be present together with our friends of other faiths. This is our second year participating in the service, and Jody and Jeanne will share the Discourse on Love. Please consider joining us for this special service. We will have the opportunity to deeply touch our nature of interbeing with others in our community, and share our faiths and practices together. More information is on the attached brochure. Please share with others who may be interested. We are happy to invite you to join us on Saturday, October 28th from 9:00 a.m. – 3:30 p.m. for a day of mindfulness practice. The focus of the day is to nourish and deepen our community in the Thich Nhat Hanh tradition. 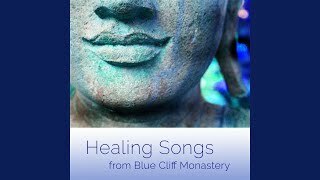 We will share several mindfulness teachings that you can carry home with you, and many of the teachings are based upon our experiences on retreats with Thich Nhat Hanh and the monastic community. Beginners and newcomers are welcome to join us, as well as those who have an established practice in any tradition. Saturday, October 28th, 2017 from 9:00 a.m. – 3:30 p.m. The Richard Mauthe Center, UWGB campus, 2418 Leon Bond Drive, Green Bay, WI. No one turned away and your presence is welcomed. Bring your own lunch. Snacks, water, and tea provided. Please plan to arrive around 8:45 a.m. so you have time to settle in before we begin. We will hold noble silence except for discussion periods. You may wish to bring a blanket and/or mat for deep relaxation, and a sweater as the temperature can sometimes fluctuate. Please refrain from wearing strong scents or perfume/cologne. When we first planned this day, Cheri Maples had agreed to be our teacher. With her passing, we will hold Cheri with us as we practice together. Dear Friends, we will not have practice on Monday, May 29th. We will resume our normal Monday/Wednesday schedule on Wednesday, May 31st. Thank you! Starting at St. Mary of the Angels (645 S. Irwin St., Green Bay), we will walk to the Unitarian Universalist Fellowship (1313 Main St.). All are welcome; includes song, readings, children’s activities, and a walk. Participants are welcome to bring a sign, banner, and or clothing representing their religious group. Open Heart Mindfulness Community will be sharing Touching the Earth before our walk to Unitarian Universalist Fellowship. If you are unable to walk, please feel free to drive over and join us for the remainder of the program followed by a social with light refreshments. Please click on the flyer below to see a full page image. Vigil for Humanity March 7th @ 7:00 p.m.
Tuesday, March 7th, 2017 at 7:00 p.m. The event will be an opportunity for people from many spiritual traditions to pray together, emphasizing our understanding of the interconnectedness of humanity. ~ Meditation is no longer the work of individuals; meditation in our time should be a collective practice. Thich Nhat Hanh, Calming the Fearful Mind, p22. Join members of the Thich Nhat Hanh Sangha and other traditions from across the country as we march together in peace for justice for all at the Women’s March on Washington. People of all genders are invited. We will practice Marching Meditation to hold love for each other as a Beloved Community committed to justice for the disenfranchised as so many of our ancestors have done before. Sangha members will also participate in marching meditation in New York City, San Francisco and other sister cities. Click here for the Sangha facebook page organizing housing and events in Washington DC (including sitting meditation, Dharma Sharing, Deep Listening and more) to turn the march into a true Day of Mindfulness. Please reply to this email if you would like your local event linked to this. See the full description of the march and other links below. We invite all practitioners and Sanghas in the United States and beyond to dedicate their practice during the week of Monday, January 16th (Rev. Dr. Martin Luther King, Jr. Day) to Sunday, January 22nd (the weekend following the inauguration) to cultivating understanding and compassion for ourselves and our country, and healing from the violence, hatred, and fear that has intensified during the past year’s election. We recognizing there is no true peace without justice and equity for all. We encourage you to dedicate your walking meditation and sitting meditation practice to generating the energy of compassion and healing with each step and each breath you take. Practice Deep Listening with someone you don’t understand and bring Loving Speech into your conversations (see the 4th MT below). Read Thay’s “Calming the Fearful Mind: a Zen Response to Terrorism” and practice Dharma Sharing on the topics raised. These teachings are remarkably relevant today. Practice Touching the Earth (below). Listen to and meditate upon Alone Again, the song created from Thay’s poem Recommendation. See a full list of resources for practice here. ARISE is a group of lay practitioners and monastics in the Plum Village tradition who have come together to heal the wounds of racial injustice and racial and social systemic inequity within ourselves and within the Mahasangha, with the energy of compassion, understanding and love. We aspire to engage the Plum Village community worldwide in the work of healing the wounds of racial injustice and social inequity, beginning with looking deeply within ourselves. We seek a worldwide Manyfold Community that is consciously and committedly engaged in the work of transformation and healing of racial injustice and social inequity. In so doing, we aspire to nourish and protect Beloved Community in our Manyfold Community and beyond. What is the Women’s March on Washington? On January 21, 2017 we will unite in Washington, DC for the Women’s March on Washington. We stand together in solidarity with our partners and children for the protection of our rights, our safety, our health, and our families — recognizing that our vibrant and diverse communities are the strength of our country. In the spirit of democracy and honoring the champions of human rights, dignity, and justice who have come before us, we join in diversity to show our presence in numbers too great to ignore. The Women’s March on Washington will send a bold message to our new administration on their first day in office, and to the world that women’s rights are human rights. We stand together, recognizing that defending the most marginalized among us is defending all of us. We support the advocacy and resistance movements that reflect our multiple and intersecting identities. We call on all defenders of human rights to join us. This march is the first step towards unifying our communities, grounded in new relationships, to create change from the grassroots level up. We will not rest until women have parity and equity at all levels of leadership in society. We work peacefully while recognizing there is no true peace without justice and equity for all. How to connect with Sangha members attending the March? Lord Buddha, I see that I am part of the wonderful pattern of life that stretches out in all directions. I see my close relationship with every person and every species. The happiness and suffering of all humans and all other species are my own happiness and suffering. I am one with someone who has been born disabled, or someone who is disabled because of war, accident, or sickness. I am one with people who are caught in situations of war, oppression, and exploitation. I am one with people who have never found happiness in their family and society. They do not have roots; they do not have peace of mind; they are hungry for understanding and love. They are looking for something beautiful, true, and wholesome to hold on to and to believe in. I am one with people at their last breath who are afraid because they do not know where they are going. I am the child living in miserable poverty and disease, whose legs and arms are as thin as sticks, without any future. I am also the person who is producing armaments to sell to poor countries. I am the frog swimming in the lake, but I am also the water snake who needs to nourish its body with the body of the frog. I am the caterpillar and the ant, but I am also the bird who is looking for the caterpillar and the ant to eat. I am the forest that is being cut down, the water and the air that are being polluted. I am also the one who cuts down the forest and pollutes the water and the air. I see myself in all species and all species in myself. Lord Buddha, I truly want to sit as you sat, with my posture still, solid, and powerful. As your disciple, I also want to have your composure. I have been taught to sit with my back upright and relaxed, my head a straight continuation of my spine without leaning forward or leaning backward, my two shoulders relaxed, and one hand placed lightly on top of the other. I feel both solid and relaxed in this position. I know that in my own time most people are too busy and very few have the opportunity to sit still with inner freedom. I vow that I shall practice sitting meditation in such a way that I experience happiness and freedom while sitting, whether I sit in the full lotus, the half lotus, or on a chair with my two feet placed flat on the earth. I shall sit as someone who has freedom. I shall sit in such a way that my body and my mind are calm and peaceful. With mindful breathing I shall adjust my posture, helping my body to be calm and at ease. With mindful breathing I shall recognize and help to calm down feelings and emotions. With mindful breathing I shall light up the awareness that I have all the conditions necessary to unite body and mind and to give rise to joy and happiness. With mindful breathing I shall look deeply into my perceptions and other mental formations when they manifest. I shall look deeply into their roots so that I can see where they have come from. meditation, all my ancestors and relatives are also nourished. Every breath, every moment of looking deeply, every smile during the session of sitting meditation can become a gift for my ancestors, my descendants, and for myself. I want to remember to go to sleep early so that I can wake up when it is still dark and practice sitting meditation without feeling sleepy. When I am eating, drinking tea, listening to a Dharma talk, or participating in Dharma discussion, I shall also practice sitting solidly and at ease. On the hill, on the beach, at the foot of a tree, on a rock, in the guest room, on the bus, in a demonstration against war, or in a fast for human rights, I shall also sit like this. I vow that I shall not sit in places of unwholesome activity, in places where there is gambling and drinking, in places where people are fighting, arguing, blaming, and judging others, except when I have made the deep vow to come to those places to rescue people. Lord Buddha, I vow that I shall sit for you. Sitting with a deep serenity and solidity, I shall represent my spiritual teacher, who has given me birth in the spiritual life. I am aware that if everyone in the world has the capacity to sit still, then peace and happiness will surely come to this Earth. Dharma sharing is an opportunity to benefit from each other’s insights and experience of the practice. It is a special time for us to share our experiences, our joys, our difficulties and our questions relating to the practice of mindfulness. By practicing deep listening while others are speaking, we help create a calm and receptive environment. By learning to speak out about our happiness and our difficulties in the practice, we contribute to the collective insight and understanding of the Sangha. Please base our sharing on our own experience of the practice rather than about abstract ideas and theoretical topics. We may realize that many of us share similar difficulties and aspirations. Sitting, listening and sharing together, we recognize our true connections to one another. Please remember that whatever is shared during the Dharma discussion time is confidential. If a friend shares about a difficulty he or she is facing, respect that he or she may or may not wish to talk about this individually outside of the Dharma discussion time. OI-Community, a list for the Order of Interbeing. Canceled due to the weather. Please click here to read about: The Friendship of Thich Nhat Hanh and Reverend Dr. Martin Luther King Jr.
Offering will benefit the Brown County Jail Ministry costs including bibles, religious study materials, ministry and office supplies. Choir singers are needed! You are welcome to arrive at 6:30 to practice with the choir. Pies and desserts will be available for the social after the service. If you bring dessert, please omit lard in consideration of our Jewish friends. You are welcome to join us on Wednesday, January 4th, 2017 at the Mauthe Center from 6:00 – 7:30 PM for the New Year Ceremony. Each year at the New Year we share the New Year’s Ceremony to pay respect to our teachers and our ancestors. The ceremony is from Chanting from the Heart: Buddhist Ceremonies and Daily Practices and includes sitting meditation, touching the earth, sutra reading, and discussion time to share about our ancestors. Everyone is invited to bring items and/or pictures of familial or spiritual ancestors to place on the ancestral altar. This ceremony will take the place of our regular practice session. At the end of the ceremony some may wish to participate in hugging meditation as a form of “beginning anew” in order to close the ceremony and enter into the new year with open hearts and harmony between each other. Homeless Peace Walk on Weds Dec 21 at 7:00 p.m. at St John the Evangelist Church in Green Bay as part of the 8th Annual Homeless Persons’ Memorial Service . Open Heart Mindfulness Community assisting with a 6:30 p.m. Peace Walk as well as carrying in candles as part of the Opening Song. More information to be provided.